Side A plays at 33 ⅓ RPM, side B plays at 45RPM. Superpitcher's dreary epic length remix gets quite tedious very quickly, and is perhaps a rare miss in his stellar remix catalogue. 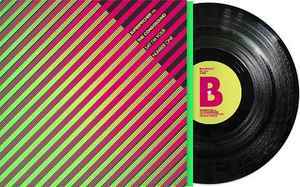 But a flip over to the B-side and the whole thing is not quite lost, the original version presenting a sound that comes out as a mix between Data 80 and Metro Area; quite silly, but somewhat maintaining a kind of cool undercurrent. It is not exactly brilliant, but it is still quite enjoyable.